Today I have some new polishes to share with you made by Glitter Daze.This is a collection of 8 crelly polishes that is packed with assorted glitters.This collection is now available to purchase.If you are a sucker for crellies like I am,your going to want to add these to your collection.Glitter Daze also made some improvements to their brand.They now have new labels,a new website and new packaging!! !The collection that I'm about to show you is called 'The Floral Soiree' collection.Let's take a look below! 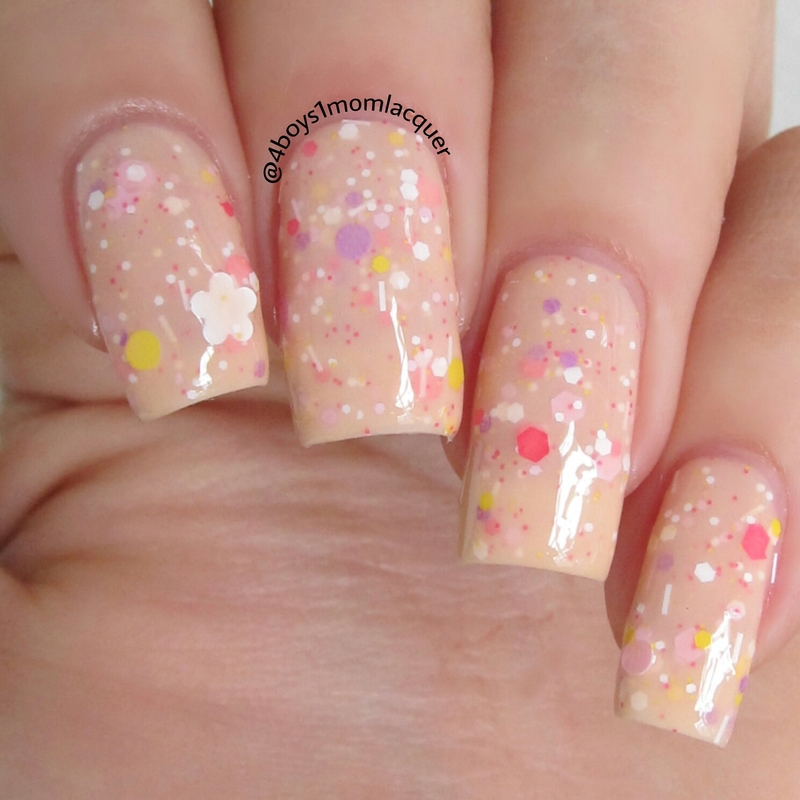 This is described as a light Yellow Glitter Crelly with a bright combination of black, neon pink, and peach glitters in a fun variety of shapes and sizes! I applied 2 light coats and a top coat.This is actually one of my favorites in this collection.I'm usually not into yellows because of my skin tone but this one looks beautiful on me! 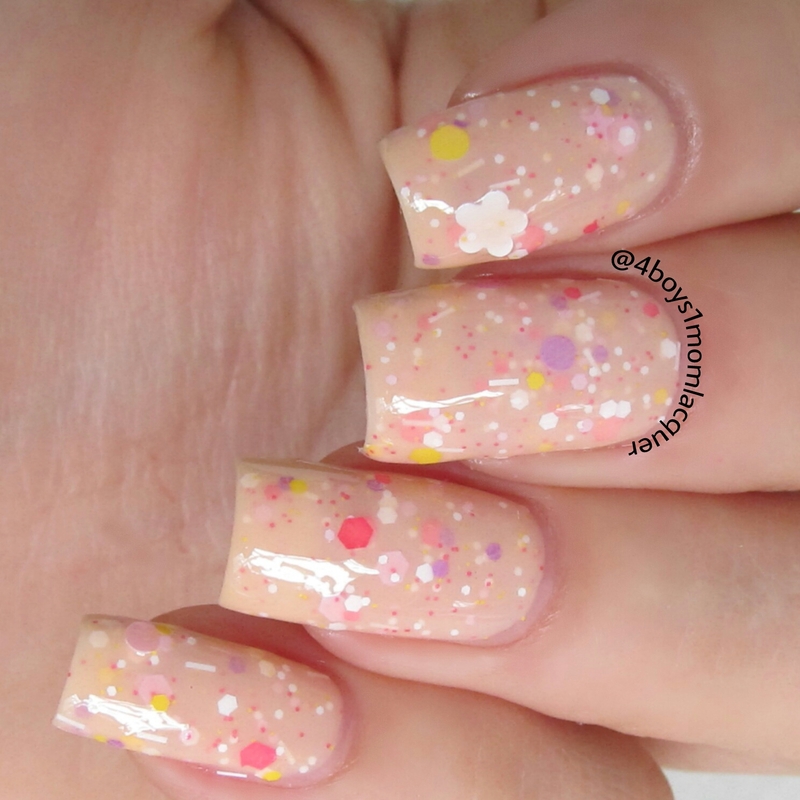 This is described as a light peach glitter crelly full of light pink, bright pink, white, yellow, and purple glitters in a variety of shapes and sizes including fun flower glitter. 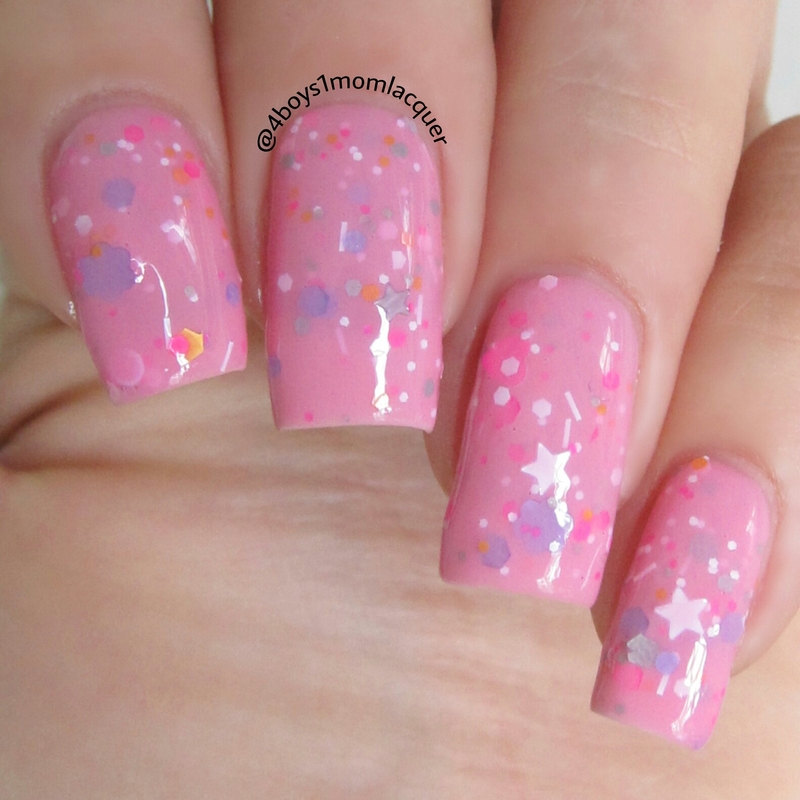 This is described as a bright pink glitter crelly with white, peach, grey, and lavender glitters accented with neon pink. I applied 2 coats and a top coat.I had no issues with dry time or application. 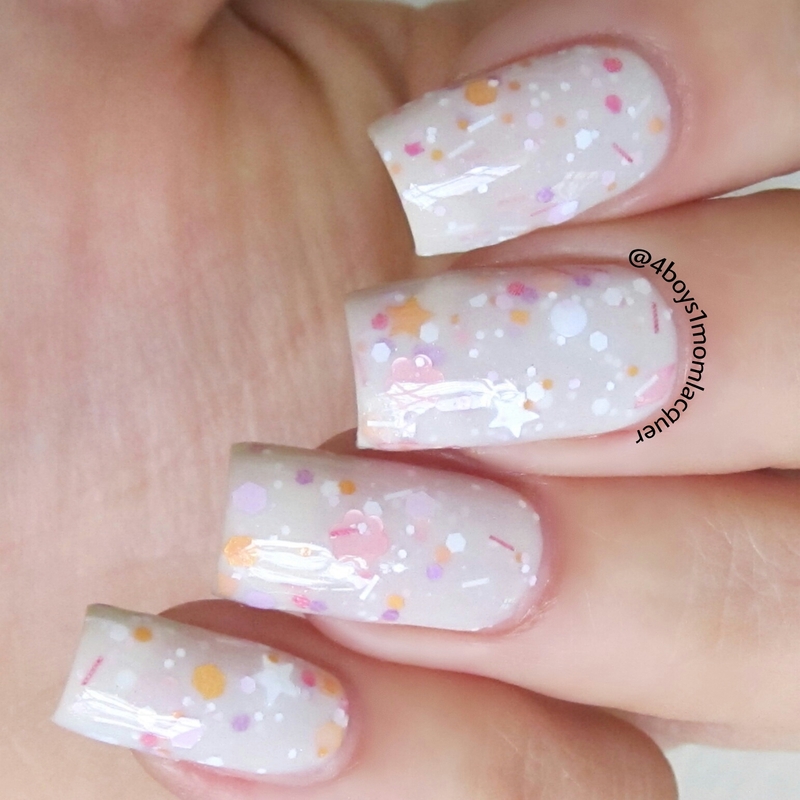 This is described as a light blue glitter crelly with light pink, light purple, black and white glitters as well as gold micro glitter and shimmer! I applied 3 light coats and a top coat. 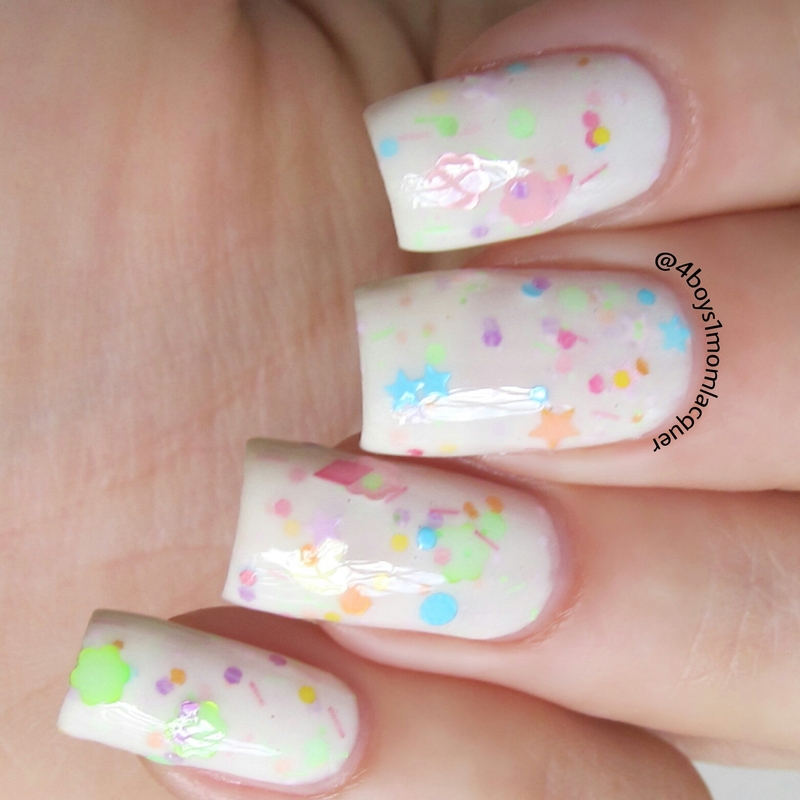 This is described as a off white glitter crelly full of bright matte glitters in a variety of shapes and sizes including light pink and neon green flowers. 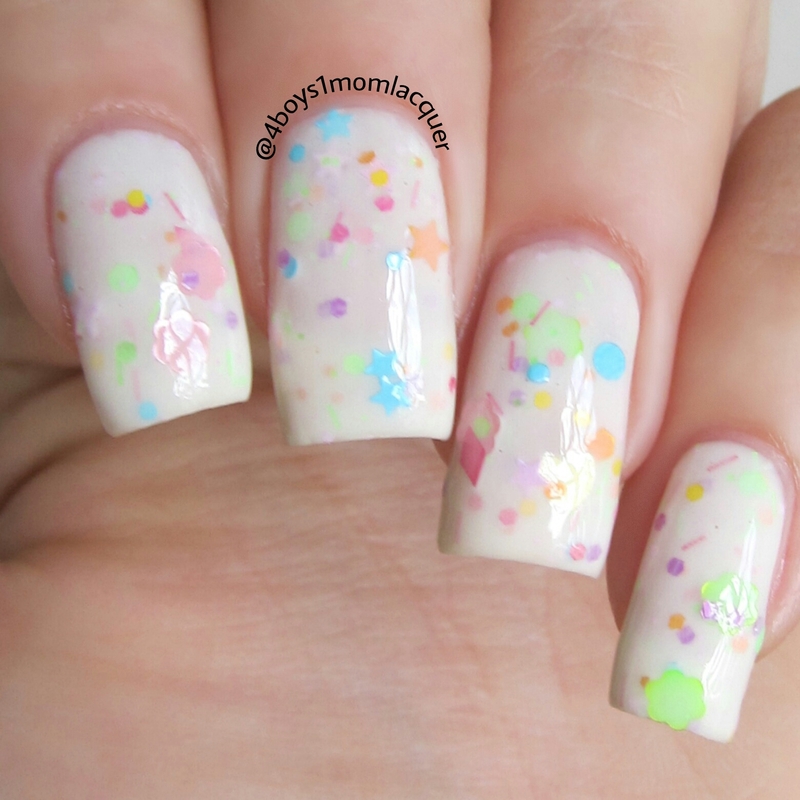 This is described as a Chartreuse glitter crelly full of bright glitters including multi-sided peach, yellow, and bright turquoise, as well as neon pink and yellow flowers! I applied 2 coats and a top coat. This is described as a lilac based glitter crelly with light pink, grey, turquoise, and periwinkle glitters with square and rectangle accents in black as well as a subtle purple shimmer throughout. 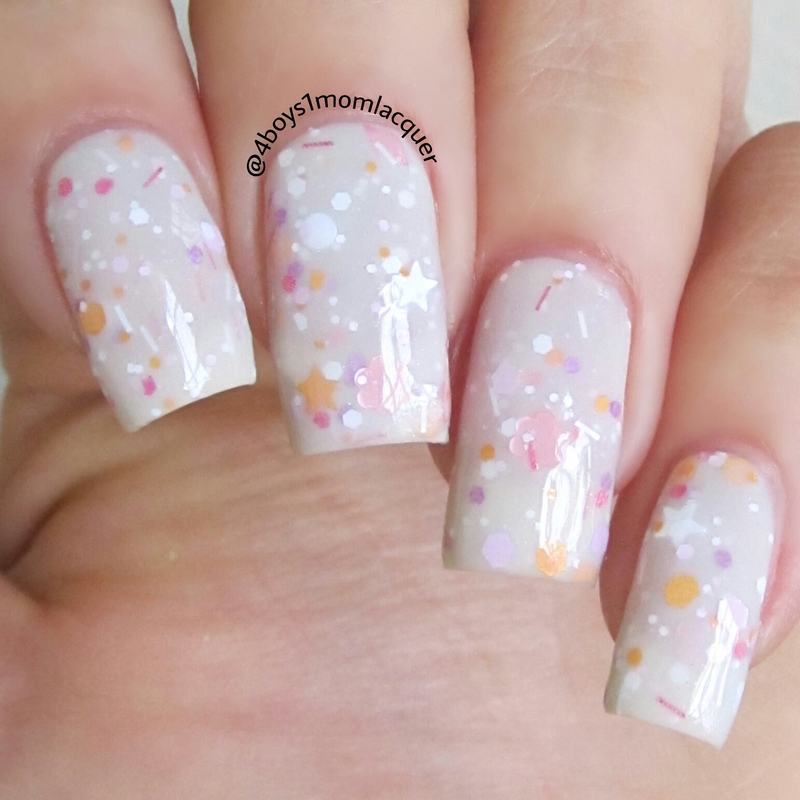 This is a is a light and delicate grey based glitter crelly with white, light pink, peach, and light purple glitters in a variety of shapes and fun sizes such as flowers, stars, and hearts! I applied 3 light coats and a top coat.It does seem to lean more white than grey but either way it's flawless! 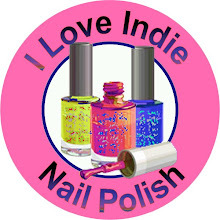 I really appreciate crelly polishes.They all are unique in their own way.When I was new to the indie world I was confused to why everyone loved them.As soon as I figured how to apply them correctly I fell in love with them. 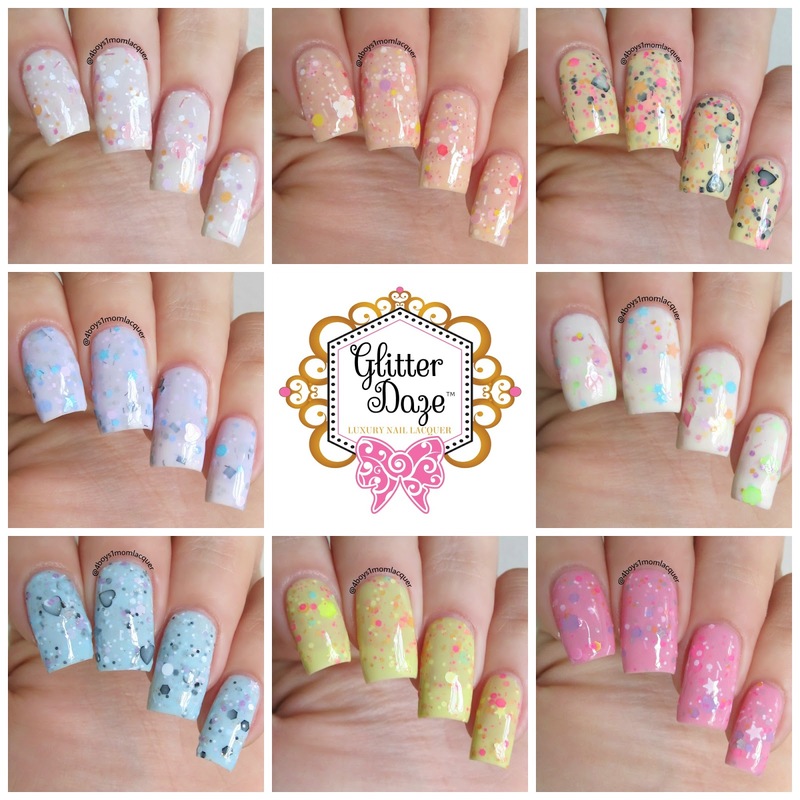 This collection is available at Glitter Daze and each polish is $11 each.For more information on this collection and future releases and discounts,be sure to check out all of Glitter Daze's social media sites.I will post the links below! !